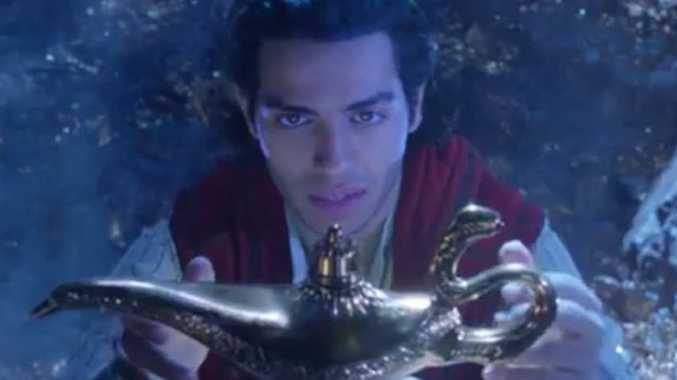 DISNEY have just released the teaser trailer for the much-anticipated, live-action remake of Aladdin and we could not be more excited. The one and a half minute trailer gives audiences glimpses of the evil Jafar, his pet parrot Iago and of course the hero Aladdin, played by Egyptian-Canadian actor Mena Massoud. The teaser doesn't give audiences much in terms of dialogue, but it does give us a sneak peak into the luscious scenes shot in the Wadi Rum Desert, Jordan. Not to mention, it's all kicked off with a new version of the song Arabian Nights. It was only yesterday that Will Smith shared the film's official poster, sporting the slogan "choose wisely". The Men in Black actor got fans excited as he captioned the photo "LEMME OUT!! Can't wait for y'all to see Me BLUE! :-)". Will Smith, of course, plays the character of the Genie in the remake. But sadly, audiences are going to have to wait until next year to see if his performance matches that of Robin Williams'. Directed by Guy Ritchie, the film brings longtime-fans a cast featuring Naomi Scott, Marwan Kenzari and Into the Wood's Billy Magnussen. With the success of Beauty and the Beast and The Jungle Book, it was only fitting that this iconic '90s flick be brought back too. The movie is scheduled to drop on May 24, 2019.